Ceramic tile mural. Designed to be modular, mural can be re-arranged into any configuration and any sequence. Comes with hidden wooden floating frame back and wall cleats for easy hanging. Each tile 8"x8" square. 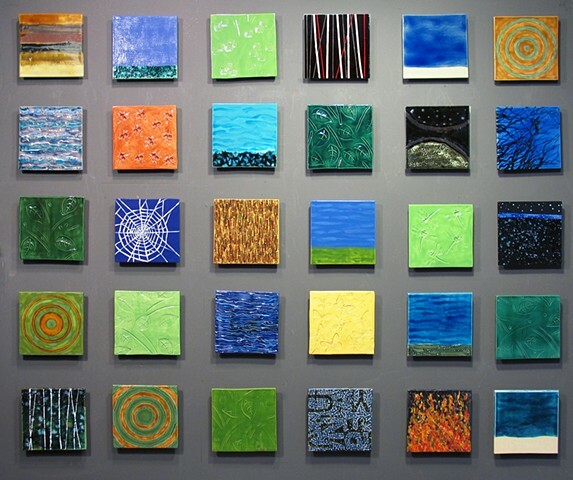 dimemsions variable, 30 8"x8" tiles, shown 56" x 68" x 1"